Your wedding should be the most perfect day in your life- making a commitment of love that will last forever, so it’s best not to think about those truly depressing divorce statistics. 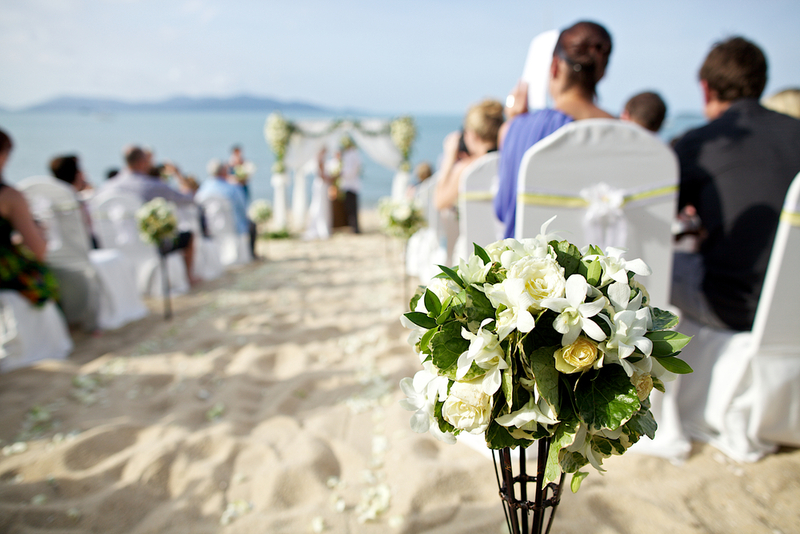 While you might want to have the big day in your own town or city, a truly memorable wedding should be an event, and there’s no better way to make your wedding a truly unforgettable occasion than to combine it with a vacation, and have a destination wedding. Sure, you could head to Vegas and be married in a so-called chapel by an overweight Elvis impersonator, before losing all your honeymoon money in the casinos, but you probably want something a little more elegant and romantic. So what are some of the things you need to think about when you decide to take your wedding show on the road? You might like the idea of a romantic ceremony in Paris, but you need to be practical when it comes to selecting a destination. When getting married in a foreign country, you need to plan ahead, since you need to navigate a bureaucratic minefield, and if all the papers aren’t in order, you won’t be getting married. Research the marriage laws of your intended destination, and you might want to opt for one of the more straightforward choices. The easiest choice is selecting a destination in your own country- although maybe with better weather for the ceremony, or at least the peace and quiet of the countryside, but still within an easy hop of your hometown. Unless you have a massive wedding budget at your disposal, you probably can’t afford hotel rooms for everyone you want to invite, although it’s perfectly OK to expect your guests to make their own arrangements. You can make it easier for everyone by researching accommodation options in the area; something for all budgets- and you’ll find out who your real friends are by seeing who is willing to travel for your big day. Remember that if the wedding destination involves a long trip, it might not be possible for older friends and relatives to join you. You’ll probably need to spend quite a bit of time at the wedding destination before the big day, just to arrange the logistics. The Internet has made research so much easier, but you’ll still need to find the perfect venue for the actual ceremony, as well as taking care of the flowers and the catering. You’ll also need to think about transportation, since many of your guests might not have brought their own cars, and of course you’ll want a great set of wheels to take you and your soon-to-be spouse to and from the ceremony. You might want to consider something a little sportier than traditional formality, and the team at IX Sports Car Rental are here to help. Ashley Williamson is a freelance writer with an interest in lifestyle and travel blogging. When she is not working she likes to travel and read as much as she can. If you have any question feel free to leave a comment. If I could start all over again, I would have a destination wedding DEFINITELY!